Note: The orders of battle in the Official Records routinely refer to this unit as the 1st New Jersey Light, Battery B. 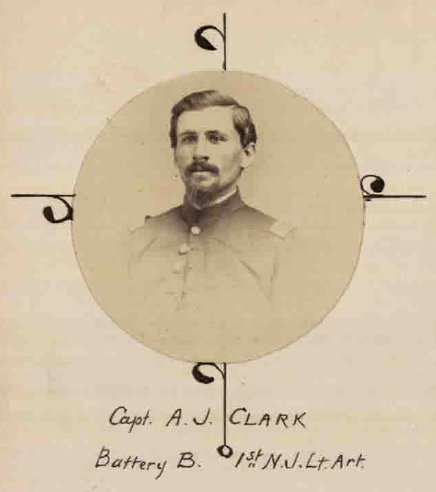 However, there was no 1st New Jersey Light Artillery regiment. Instead, New Jersey produced five batteries of light artillery during the Civil War. Interestingly, the battery’s first history refers to the unit as Battery B, First New Jersey Artillery. Further research is needed. For now, I’m including the “1st” at the front of the name because the unit was popularly referred to in this manner. Boydton Road, Fall of Petersburg, April 2. Sailor’s Creek April 6, Farmville April 6-7.